For professional, successful multi-media presentations, set up your materials and stand beside a Presentation AV Cart Station, by OSC. 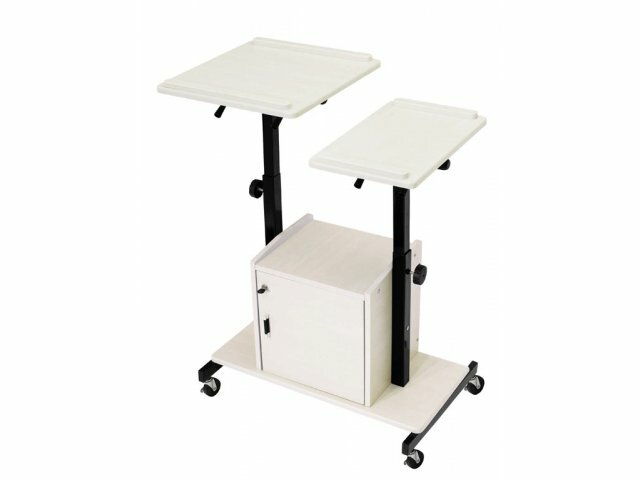 With two adjustable platforms, there’s a convenient and practical place for all equipment on this audio-visual presentation cart. Tilt and height are flexible for comfortable use, and stoppers on both sides of the upper shelves ensure that equipment remains stable. A 6-outlet power strip offers plenty of easy access to plug in electronic devices. 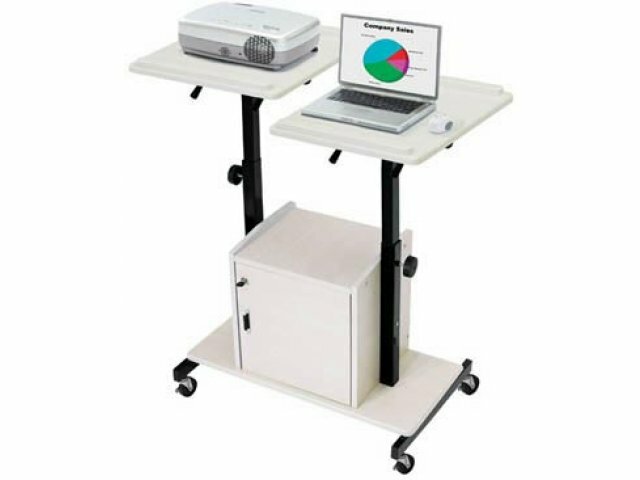 This AV cart is mobile, with 3" heavy-duty casters (two locking) that allow you to organize your presentation in advance, and simply roll it into place. A built-in locking cabinet provides a handy place to store and secure additional supplies or notes. Sturdy, quality construction grants long lasting performance to this AV cart station. Practical: Two independent shelving platforms provide a useful place to arrange audio-visual equipment.Locking cabinet box offers secure and helpful storage for additional supplies. 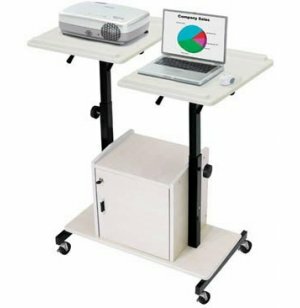 Flexible: Adjustable platforms accommodate any type of multi-media presentation. Upper platform adjusts from 34-44"H; lower platform adjusts from 28.5-38.5"H.
Sturdy Use: Quality construction supports heavy equipment and heavy use. Stoppers on the shelves make certain that valuable multi-media tools remain stable. Convenient: 6-outlet power strip supplies plenty of easy-access to plug in electronic equipment. 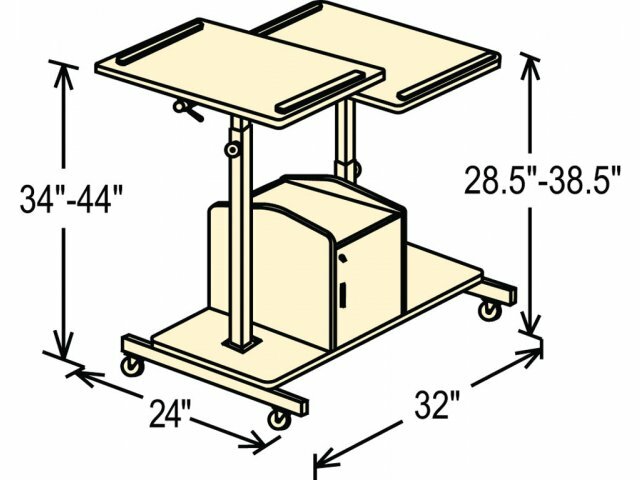 3" heavy-duty casters enable mobility.